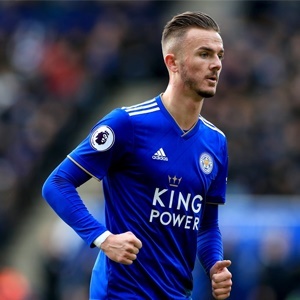 Cape Town - Tottenham Hotspur are keen on Leicester City midfielder James Maddison this summer, but the Foxes have no intention of cashing in. Tottenham are looking to revamp their midfield in the summer and have identified Maddison as a potential target following an impressive first season in the Premier League. Leicester snapped him up from Norwich last summer, and he has taken to the top flight like a duck to water, leading to reports he could be a target for rival clubs this summer. However, Leicester are under no pressure to sell any of their star players and reports in the press claim they will knock back all bids that are made. It means Tottenham may have to look elsewhere to strengthen their midfield.